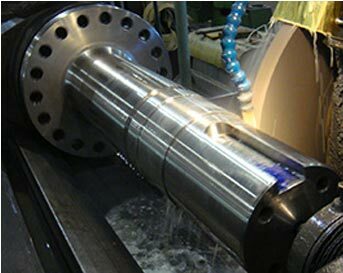 Founded in 1956, Arrow Grinding Inc. specializes in precision grinding services and close-tolerance part manufacturing. As a third generation, family-owned company, Arrow Grinding has continually built on our reputation for reliability and quality to become a leader in the North American grinding industry. A full range of precision grinding services and complete machining capabilities from one company in our 43,000 square foot facility. Our technical experts can give you answers and advice on how we can help make your parts more efficiently and cost-effectively. And more service. And then some more. Our people make it happen. From answering the phone professionally to responding to your inquiries quickly and delivering exactly what you need … precisely. We are a one-day shipping point throughout the Northeast and two days to just about anywhere else in the country. We have some of the most experienced people in the industry, utilizing the best technology with a fierce commitment to customer satisfaction. From aluminum to zirconium, we have ground virtually every material and have serviced just about every industry. From management to sales to the talent on the floor, everyone at Arrow understands we are an integral part of our customer’s operation and that they rely on us to be there for them. Within 24 hours for most quotes and if you need it right away – just ask!